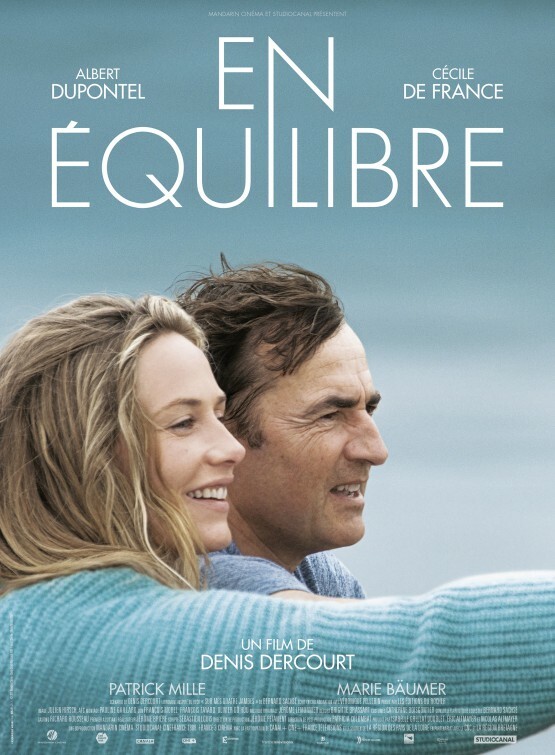 From France, comes “In Harmony” (“En équilibre”), a poignant and strong 2015 drama from writer/director Denis Dercourt, inspired by the autobiography Sur mes quatre jambes by Bernard Sachsé and Véronique Pellerin. Sachsé, an accomplished equestrian, who worked with horses as a stuntman in movies until an on-set injury in 1994, rendering his legs useless and confining him to a wheelchair, but did not prevent him from following his passion. Dercourt’s film centers on passion, providing one character who must hold on to his passion and another who must reconnect with her own. “In Harmony” is a fine character-driven film with an intuitive script that is carried by two confident and nuanced performances and has, so far, become my favorite film playing at the Chicago European Union Film Festival at the Gene Siskel Film Center. 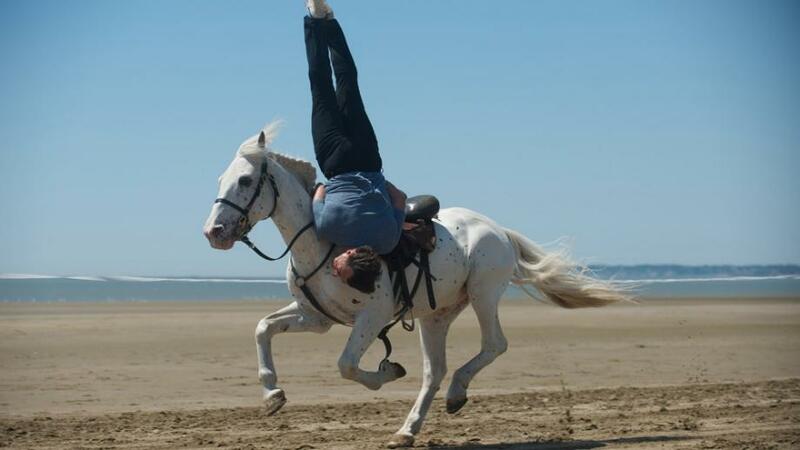 French actor Albert Dupontel (“Irreversible”) plays Marc Guermont, an equestrian stuntman who is confined to a wheelchair after an on-set accident with his horse leaves him a paraplegic. Belgian actress Cécile de France (“The Kid with a Bike”) plays Florence Kernel, a meticulous and thorough insurance adjuster assigned to his claim. The two meet at his ranch in Brittany, France and what begins as a standard working relationship for Florence, eventually turns into something more impacting as she becomes inspired by Marc’s resilience and determination to ride again. This causes an evaluation within Florence to reconnect with passion as a pianist, yet also finds her compromising her own ethics as she draws closer to Marc. Dupontel and de France are wonderful in their roles and the rich characterization from Dercourt’s screenplay as well as deft hand at directing makes “In Harmony” a very rewarding viewing experience. I hope “In Harmony” gets a release date in the States this year, so more viewers can see this touching and inspiring story – but lucky Chicagoans can see it today at 2pm and Monday, March 7th at 6pm. Get tickets here.